Dr Jengo's World: Storm Collectibles' 1/12 Mortal Kombat Scorpion figure details announced! 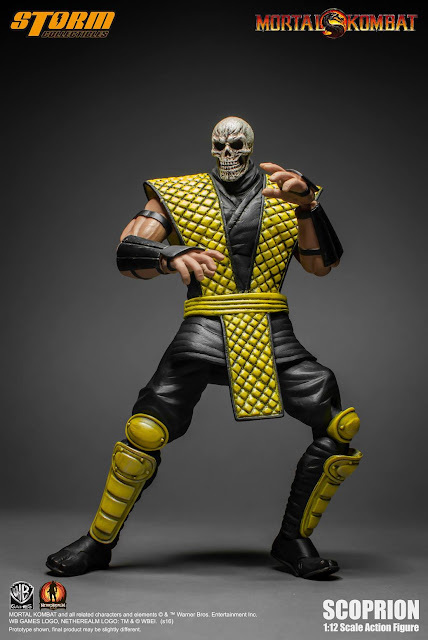 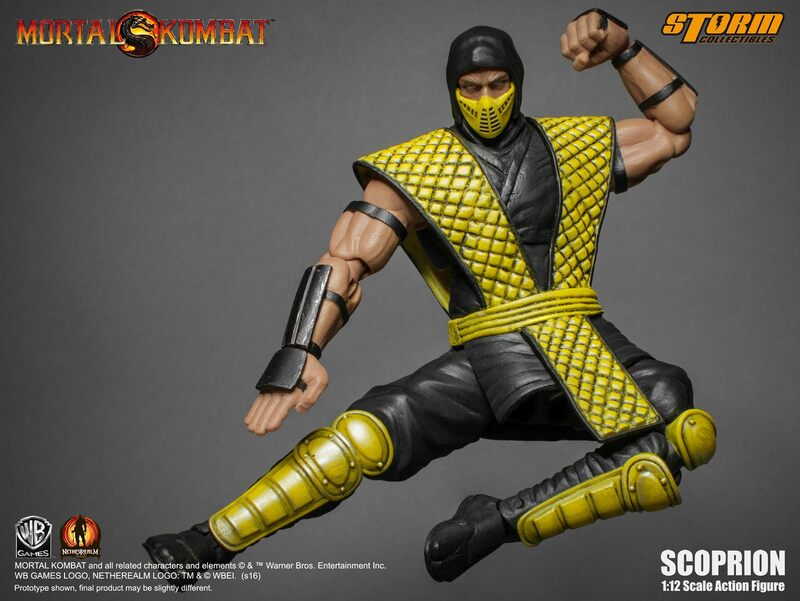 Storm Collectibles' 1/12 Mortal Kombat Scorpion figure details announced! 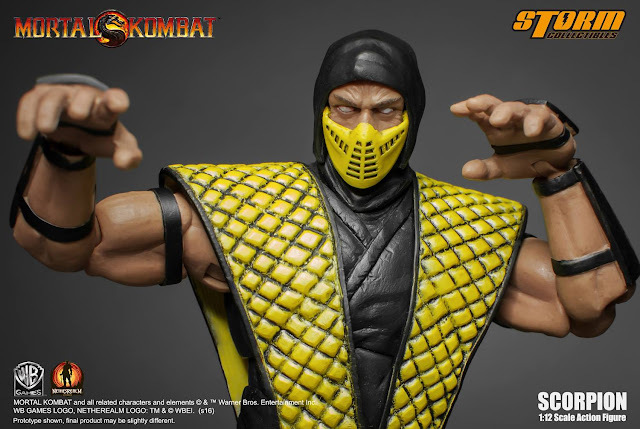 After previewing the Mortal Kombat Klassic figures in several toy fairs, Storm Collectibles are finally ready to release their first figure in the "VS Series", the 1/12 figure of Klassic Scorpion! Here are the officially released pics.. 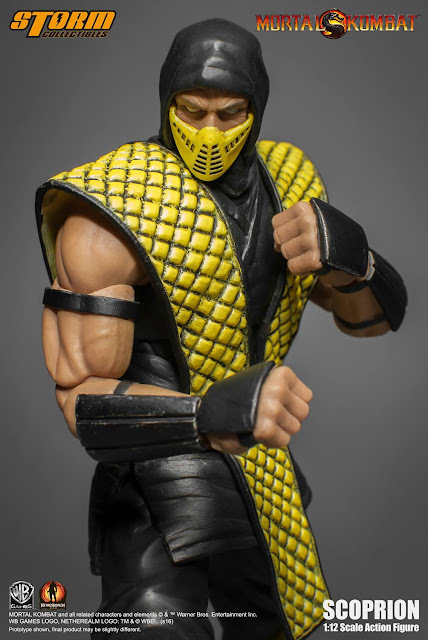 Very detailed and face sculpt is amazing.. Best face sculpt I have seen on any Mortal Kombat figure (not including statues). The articulation and accessories on this figure will be a joy to pose with. Storm Collectibles' update also mentioned..
"Klassic Scorpion feature a brand new developed body, 100% hand-painted, over 30 points of articulation, 7” tall, a skull sculpt, 2 masks, 6 pairs of palms, fire effect and a scorpion-spear." 2 masks?! 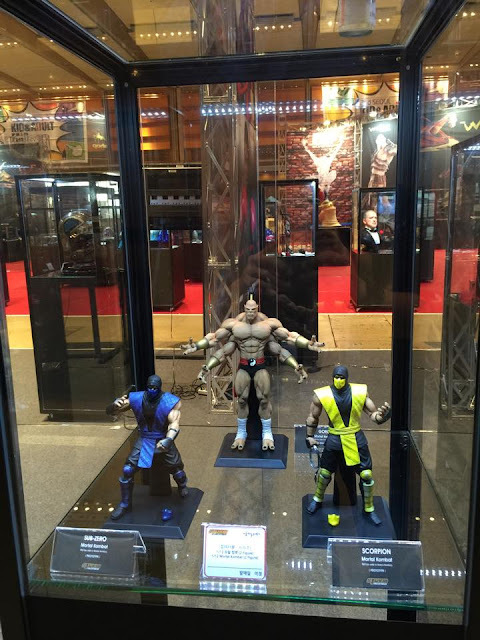 In an early preview back in July 2015, 2 masks were shown with prototype figures.. 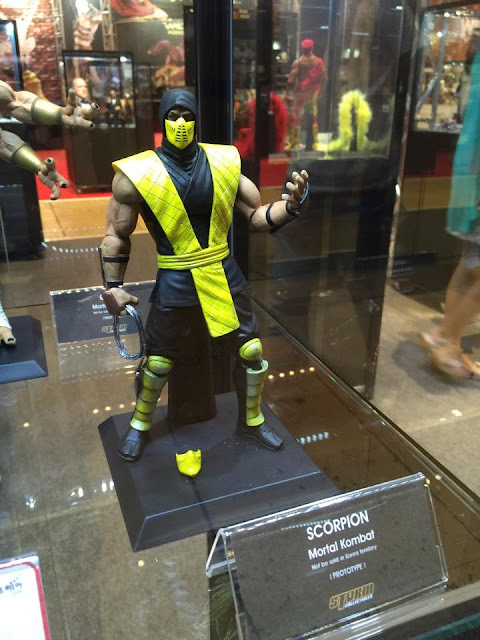 The other mask is on the base, and it looks like the cloth mask from MK1.. 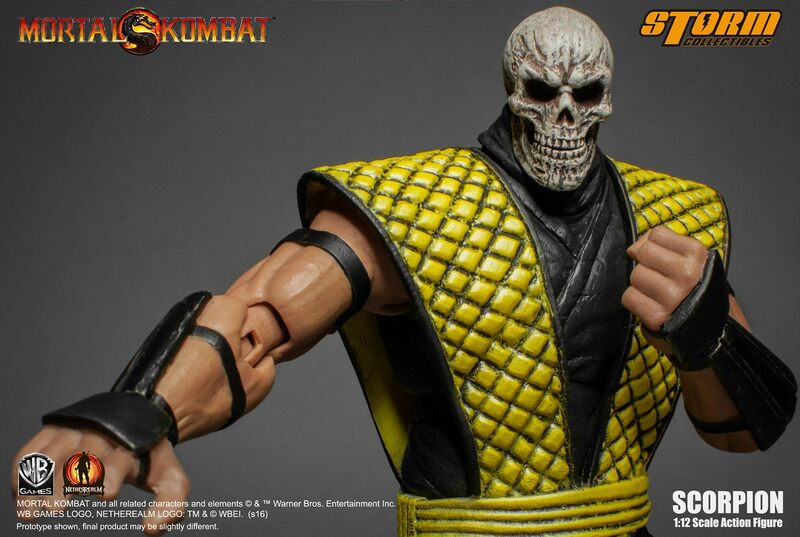 So I'm assuming that's the other mask that will be included. 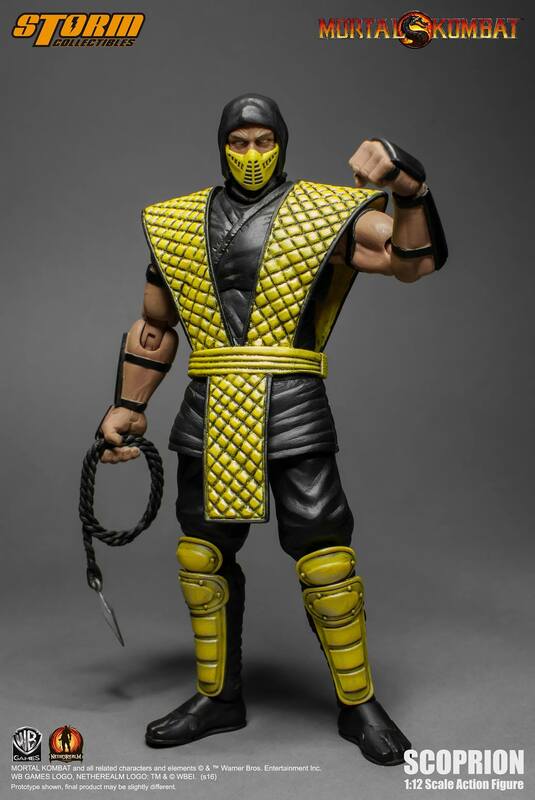 The proportions however, look a bit off. 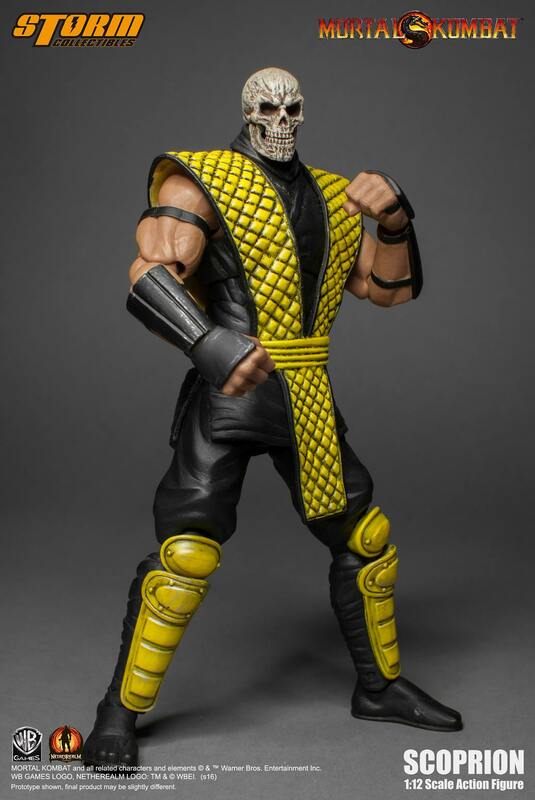 With the skull head, the shoulder pads look too big but they seem ok with the normal masked head. 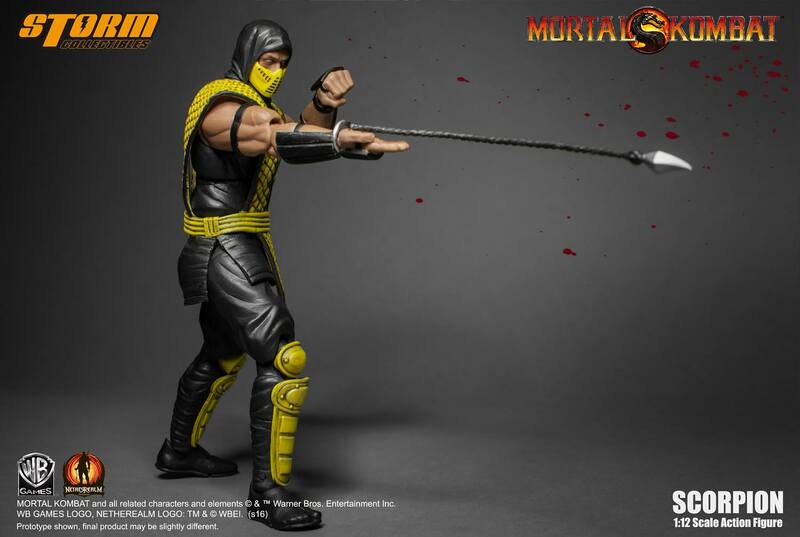 The rope spear is a must for Scorpion but the flame effect turned out a lot better that I think it would. 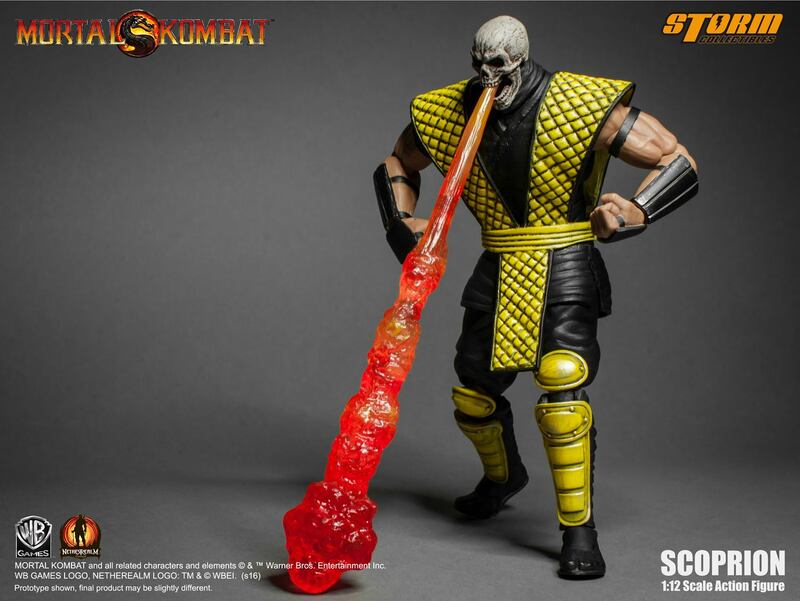 I think the figure looks great. 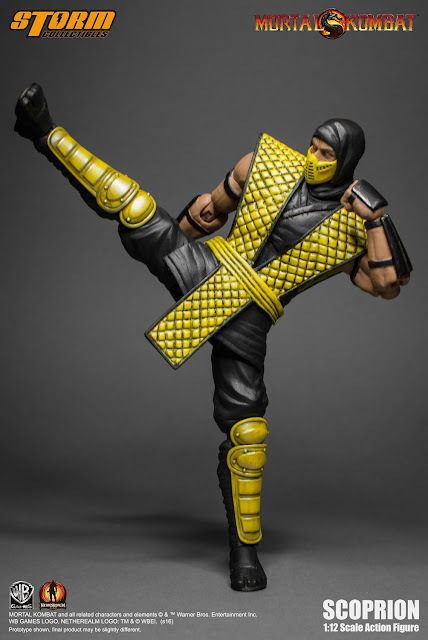 Just might have to get 2 to display with the different heads and accessories. The only problem I have is that a lot of Mortal Kombat figure lines die off way too early. 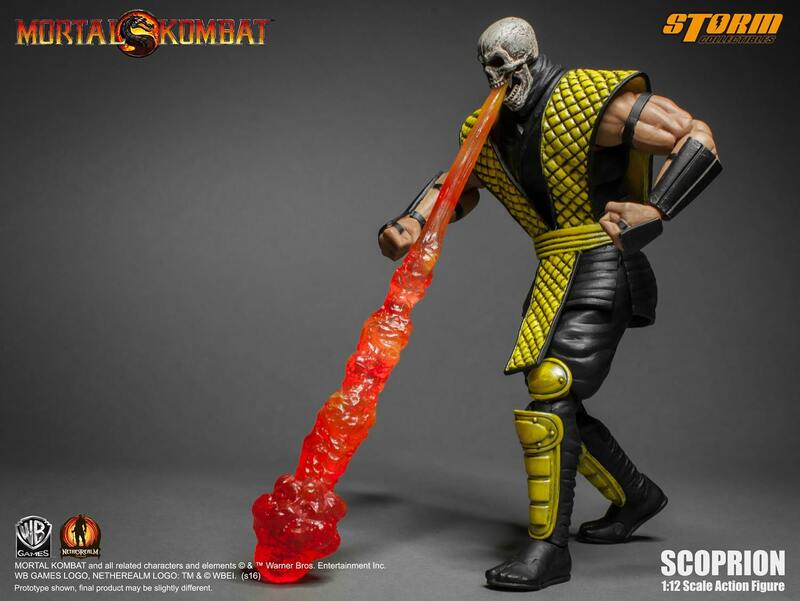 Will this be another one to receive a fatality?